Another nice touch are the new insoles. Unlike the ultra-thin insoles on my old Sidis, these have dual-density material and seem to offer more firmness on the cleat area. They offer more support than the old ones and seem to keep my feet more comfortable and secure. 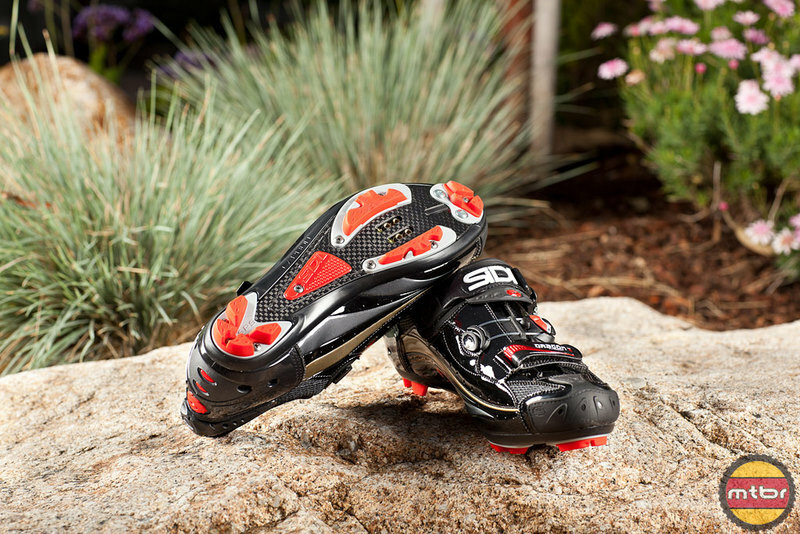 Aside from the heel retention system, Sidi has three straps and buckles in the front and they have pretty much been perfected over the years. The first velco strap now has teeth to prevent the velcro from wearing out as this shoe is expected to last about a decade. The middle buckle is called a Techno II Buckle and it a precise way of adjusting the fit using a filament line. The last has a big pad that can be centered and it features the Sidi ratchet system that can be tightened and release in increments. It is now more intuitive to use than before. These three work in concert with each other to give the rider the perfect fit. 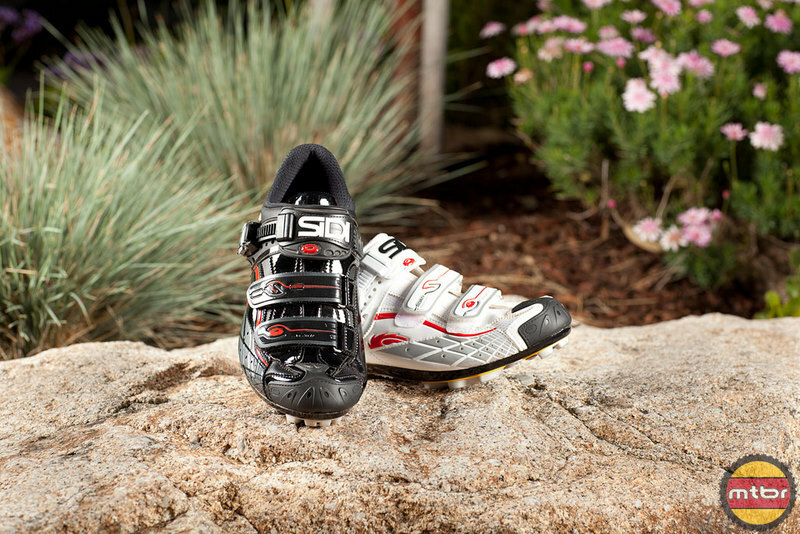 Most riders ride Sidi for that perfect ‘glove-like’ fit and it certainly present here. Of course not everyone can afford the Dragon 3 carbon shoe. The good news is the mountain line has four choices that exhibit the same qualities and share some features. • Redesigned Adjustable Heel Retention Device®: The best heel closure available gets better, with a wider design, ventilated lower cut, and softer, more compliant material for improved comfort and efficiency. You say, “In the grand scheme of things, these are not cheap.”. I disagree. It is especially in the grand scheme of things that these become cheap. Most shoes last about 3 years. If the average shoe purchase is $150 dollars and lasts for that 3 years you’re paying $50 a year. One pair of Dragons at $450 over that 10 years is $45 a year. It’s an even better deal if you buy a Spider or Dominator as they’ll last that long, too and are cheaper.